There are several problems you don't want to put off resolving when you own commercial property. Water damage from bursting pipes definitely falls in that category. The longer you neglect the damage, the worse it can get. Not only can the damage itself spread as water seeps into more materials but also secondary damage such as mold could occur. Here are a few tips on how to keep these things from happening. Shut off power to the affected area. Technicians may have to remove some of the standing water before bursting pipes can be fixed. Once the pipe repair is complete, however, you don't want to waste any time calling water damage specialists to take care of the cleanup. Just because the water flow has stopped doesn't mean the damage can't spread. To avoid secondary damage, hire technicians who handle water damage in Reservoir, RI, to restore your building. These experts can arrive within hours of your call to assess the problem. They can then devise a plan so that you know exactly what the remediation process will look like. It's a good idea to hire technicians who take you all the way through the process from water extraction to full restoration. Working with the same team all the way through improves efficiency, which limits the time mold has to grow. If bursting pipes are wreaking havoc on your building, it's important to get the problem handled swiftly and expertly. Fix the pipes and then have the damage repaired quickly to increase your chances of avoiding secondary damage. 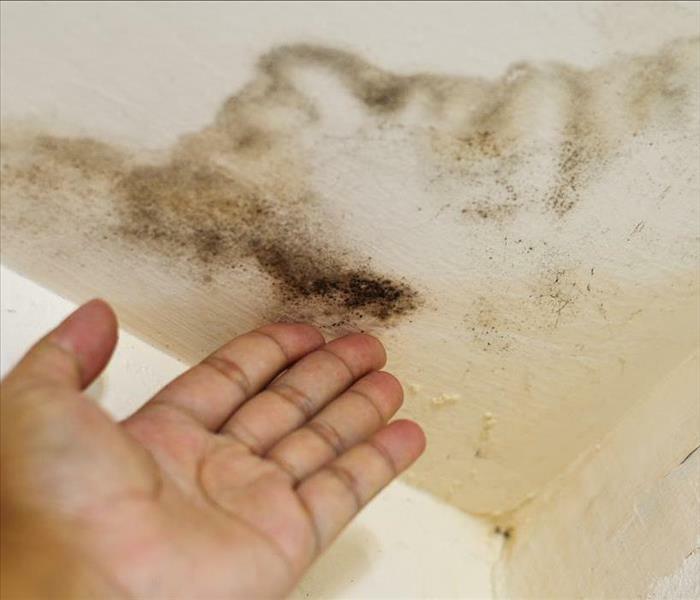 Black mold can create musty unpleasant odors. Mold spores are all around us, so there’s the potential for mold to turn up anywhere on your property, at any time. The bad news is that you can’t truly remove black mold, but mold remediation is the next best thing. Never heard of it? Read on to understand what it means and how it can help your Providence, RI, property get back on track. As mentioned before, because mold spores are so numerous and moveable, you’ll never truly get rid of all of them and their potential to replicate. But mold cleanup via remediation presents the next best thing. Remediators will also help you understand the source of moisture feeding the mold - a critical step in ensuring that your mold problems won’t be back anytime soon. Many businesses have learned the hard way that black mold can be a big hassle. It can create musty, unpleasant odors at best and completely ravage your property at worst. While you can’t remove it, remediation is your best option. Contact a local mold remediator today and get a handle on the fungus. SERVPRO Industries, Inc. is a member of the EPA's Design for Environment (DfE) program. DfE evaluates human health and environmental concerns associated with traditional and alternative chemicals and processes. These evaluations and analyses empower hundreds of businesses to select safer chemicals and technologies. 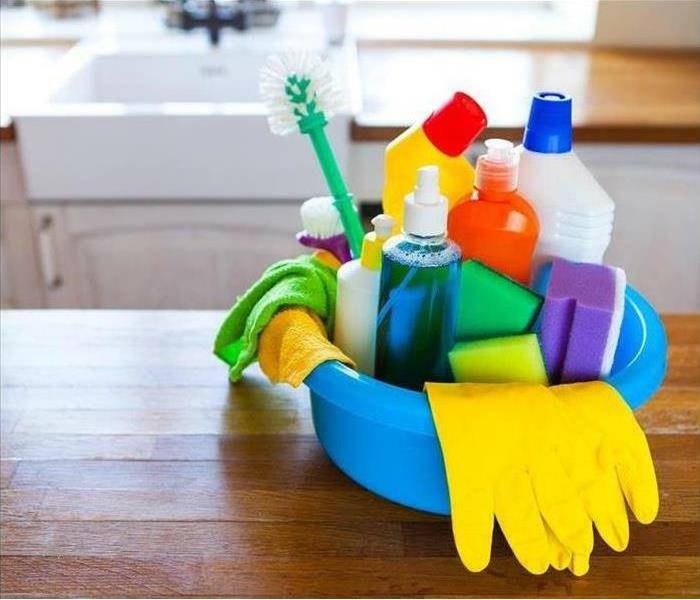 The EPA/DfE has established a set of criteria for formulating environmentally friendly cleaning products, and has put together a listing of safe cleaning components that can be used in Green cleaning formulations. As a member company, SERVPRO can access this listing known as CleanGredients and uses it as a resource to formulate environmentally friendly cleaning products that incorporate "green" chemistry. Carpet & Upholstery Green Clean #251 is a product designed for cleaning both carpet and upholstery. It is truly a "one product does all" in that it can be used as a spotter, pre-spray, in-line cleaner for both truck mount and portable equipment, and in low-moisture bonnet cleaning. The product is pH neutral, biodegradable, contains no phosphates, solvents, dyes or fragrances. All Surface Green Clean #250 is an environmentally friendly alternative to traditional surface cleaners. It is pH neutral, contains no dyes or fragrances. All components are safe, non-toxic, phosphate free, Volatile Organic Compound (VOC) compliant and rapidly bio-degradable. The product is designed as a one product cleans all for surfaces that can be wiped or mopped. It can safely be used on walls, ceilings, countertops, floors, etc. The exclusive formulation contains both ionic and non-ionic surfactants that are naturally derived and provide excellent multi-functional cleaning. Window Green Clean #249 is an environmentally-friendly alternative to traditional glass cleaners. It is pH neutral, contains no dyes or fragrances. All components are safe, non-toxic, phosphate free, VOC-compliant and rapidly biodegradable. The product comes ready to use and is formulated with soft water to eliminate spotting and streaking. While SERVPRO of Providence helps to restore property after fire and water damages, we also specialize in the cleaning and deodorization of carpets, upholstery, draperies, hard floors, walls, ceilings, air ducts, and more. Set up an appointment today to kick off your spring cleaning. Why Settle for a Player When You Can Have a Team? When disaster strikes, an insurance adjuster can expect an assignment to a team. The difference is that the numbers are bigger on a team. There are more customers, claims and vendors. Managing many claims on a team can quickly become an overwhelming task. It’s easy to imagine that insurance adjusters prefer some vendors over others. However, adjusters don’t choose. The customers do. There are several categories of vendors. 1. Vendors not on the preferred vendor list require the most attention. These vendors have never done work for the insurance company or haven’t done it very often. They may not understand the procedures and guidelines that they must follow. They need training and extra support. 2. Some vendors need more attention than others. The apparent need can happen in several ways. One is that even great vendors may need a bit of micromanaging. Another is that some vendors don’t understand how much self-reliance is acceptable. 3. Good vendors are invisible until they finish. They accept the information from the adjuster, ask questions up front and disappear. The next time the vendor communicates is when the job is complete. 4. The best vendors manage claims in-house. The SERVPRO team manages the insurance claim process using the Claims Information Center. It is the central warehouse for every bit of information that SERVPRO has on the claim. This information includes the original claim, estimates, photos and scanned paperwork. This information is available in print or by email. The insurance adjuster expects you to select a vendor. When that time comes, know that the SERVPRO remediation team in the Mount Pleasant, RI, area is just a phone call away. A leaking toilet is a nuisance, especially when the problem only occurs after flushing. Running toilets are usually easy to fix because the issue likely happens in the tank. Therefore, to fix a running toilet, you replace the flapper or flush valve. Unfortunately, a toilet that leaks only after flushing can have numerous causes and solutions. However, there are three most likely causes. A bathroom leak stemming from a flushing toilet may be caused by a dry wax ring or the improper installation of it. This ring sits between the floor and toilet drains, and when the toilet is snugged up to the floor, the ring is supposed to create an airtight seal. However, if the seal dries out or has been installed incorrectly, then the wax ring acts more like a channel or a lever, allowing water to escape after every flush. The flange is the pipe fitting that is inserted into the waste pipe below the toilet. The wax ring sits on top of the flange. A cracked or broken flange can cause a leaking toilet. Essentially, the flange is below the wax ring, meaning a crack in the flange will eliminate the airtight seal between the toilet and the drain, causing water to escape. The main idea is that the toilet rests on a wax ring that is meant to create a tight seal between the toilet drain and the waste pipe. If the seal is compromised in any way, you may experience a leak. Therefore, if the tank is not tightened completely to the floor, then a leak may occur, even if the wax ring and flange are OK and installed correctly. Sometimes, the common causes are not, in fact, the cause of your toilet leak. When that occurs, you may want to call a plumbing specialist in the Elmwood, RI, area to evaluate your toilet and plumbing system, ensuring that all is well. 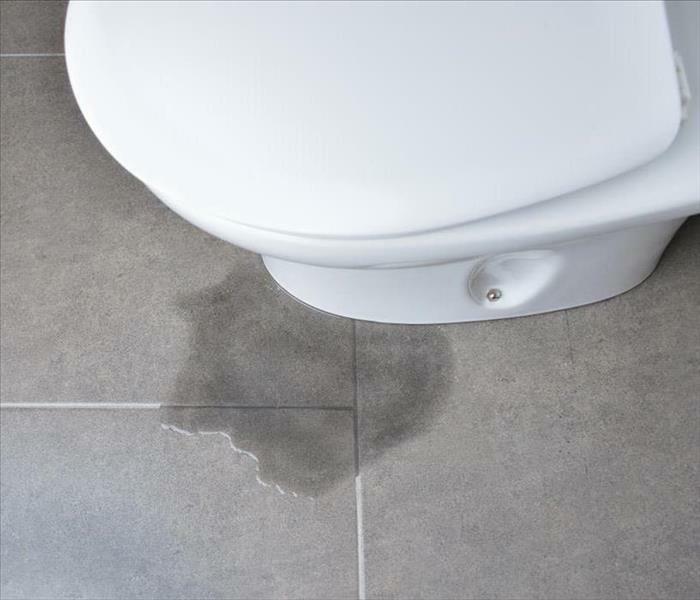 A leaking toilet is often an easy fix stemming from three potential problem areas. However, when the problem is more significant than expected, you may want to call in the professionals. When you come across potential mold in your home, you are likely met with feelings of anxiety and dread. Also, while you may already know that it is not the safest idea to handle even suspected mold on your own, there may be feelings of embarrassment at the thought of having someone out to inspect your home. Therefore, you may do what you feel is the most rational thing, and you go to the local big box chain to purchase a DIY mold kit. However, while there are several kits available, it is essential to understand that DIY mold testing is not definitive or even accurate. While a mold kit may provide good and trustworthy information on occasion, these tests are notorious for giving false positives, meaning that a test may say mold when you have none. Additionally, professional tests are performed in a controlled way, resulting in a better result without risk of cross-contamination. Mold testing performed on your own may also fail to distinguish between mold spores and an infestation. The truth is that every home has some level of mold spores present and no amount of cleaning and removal will eliminate all spores 100 percent. 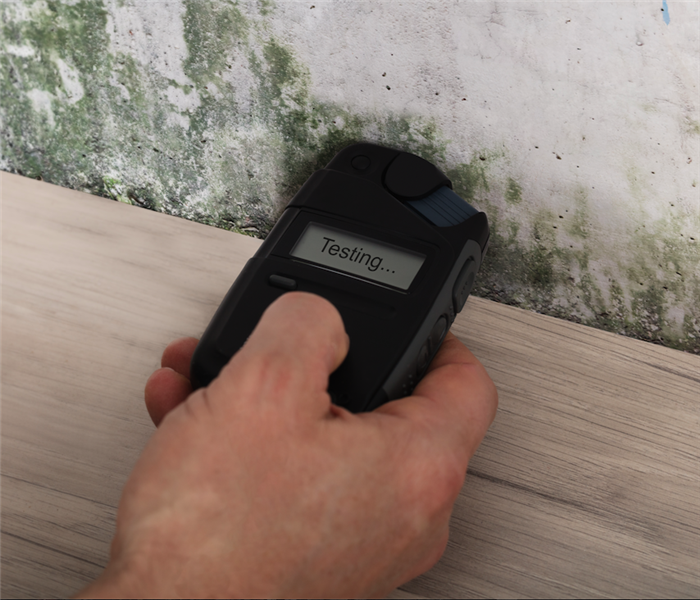 While not every house has a mold infestation, it is critical to identify through professional tests which you are dealing with. Also, many home tests only focus on surface areas, which then provides a limited view of potential threats. Many infestations occur in hidden areas, such as in wall cavities or crawlspaces. Swabbing the surface of a wall, counter or ceiling will likely not inform you of the real damage and threat. DIY mold tests are no match for the professional tests performed by environmental hygienists and mold remediation specialist in the Fox Point, RI, area. These individuals are specially certified and trained to deal with the testing, diagnosing and removal of a variety of molds. Mold testing should be left to the professional. While home kits provide a cost-effective means for initial tests, these products are known for false positives and other limitations. 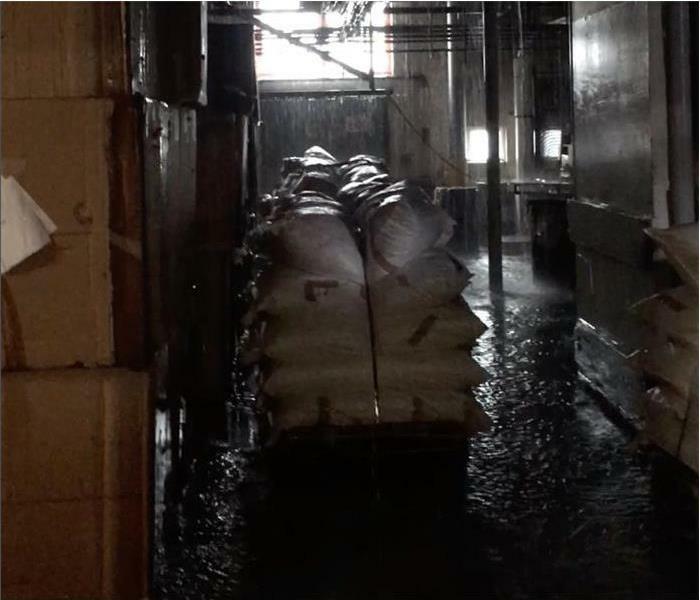 Whether your business was caught in the middle of a natural disaster or your pipes burst in the winter, flooding can cause serious damage to your office and its contents. Perhaps you’ve cleaned up the area and dried it out, but there’s still one thing that lingers: the smell. Mold growth and sewage loss can leave a pungent scent that’s hard to get rid of. What happens after a flood is that the gasses from the debris end up trapped in the building and remain there even when dried. If you’re suffering with the smell of a recent flood, here are a few tips on how to disinfect and deodorize. One of the main culprits behind bad odors left behind is the floor itself. If your carpet is installed over cement, you’ll have to remove the carpet to clean it. Then, before you reinstall the carpet, it’s suggested that you seal the floor with an antibacterial spray. This will help combat the mold growth that caused the odor to begin with. In case of the odor left behind after a flood, you have a few different tools that you can utilize. First, consider fabric refreshers and a combination of vinegar and baking soda for bad smells. In addition, consider disinfectant sprays. Disinfectant sprays can beat the smell at the source and create an environment that is unconducive to mold growth. An air purifier can help rid your building of more than just the odors caused by recent flood waters. With an air purifier, you can completely change the quality of your air. While it eliminates the cause of the odors, your house will smell beautiful in no time. If your commercial property has a bigger challenge with odor after flood water has been removed, you can rely on a restoration specialist to help you. Recovering from a flood in Providence, Rhode Island can be intimidating, especially when you have a smell that just won’t go away. However, with these 3 simple tips you will be on your way to a sweet-smelling building. What happens when a Olneyville, RI, disaster recovery company doesn't have the equipment it needs? When a significant storm or disaster strikes, local companies aren't always prepared for an adequate storm response. The company many not have the necessary equipment or workforce to handle cleanup to the necessary expense. This is especially true when commercial properties are hit during a natural catastrophe. Hospitals and associated facilities require immediate disaster response services. Property managers are responsible for the safety of people in and around buildings. Universities and schools have large numbers of people and supplies onsite. Government facilities and program shutdowns affect many employees and members of the public. Fortunately, SERVPRO disaster recovery franchises have access to corporate resources. When local communities are hit by tornadoes, blizzards, or floods, storm response teams are mobilized from a network of carefully positioned centers. This means that if a blizzard knocks out power and services to a small community, resources from larger metropolitan areas can be used in response. The storm damage company works closely with many insurance companies and is often a preferred vendor. Residential and commercial customers may find they can get the go-ahead from their insurance providers for cleanup and recovery efforts more quickly when working with an approved storm damage recovery company. 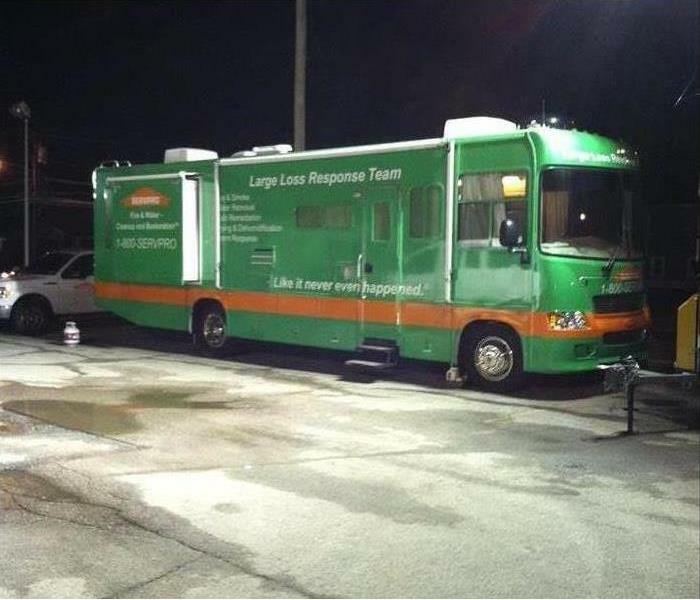 In the case of a true catastrophe, SERVPRO has a large loss division with specialists who have been trained to handle disasters of any size and specifically for exceptionally large disasters. These teams are ready to handle events like the Hurricane Katrina or California wildfires. The specialized team travels with resources pulled from more than 1,700 franchises and with access to a broad network of command centers. 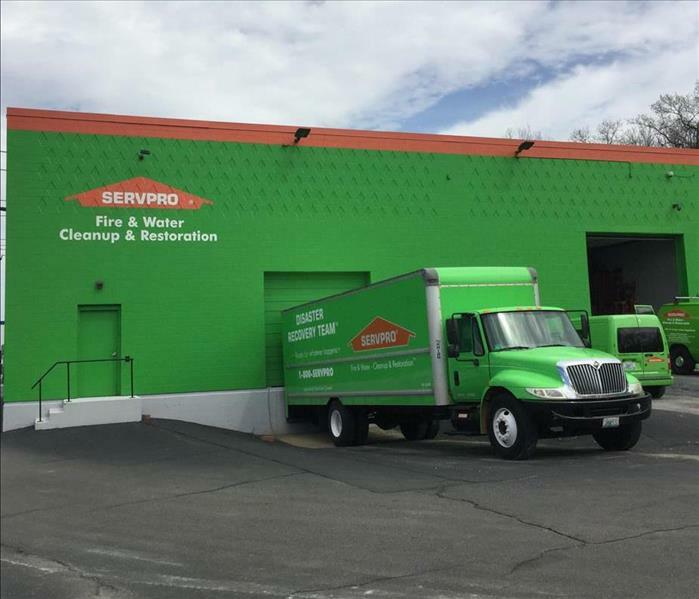 When Olneyville, RI, needs professional disaster recovery services, SERVPRO has the people, the equipment, and the training to help communities get back on track. They can step in when other options aren't enough. Fire Damage in Downtown Providence Facility. Fire damage is difficult to handle all on your own. It can be problematic because of the fact that you know nothing about fire restoration or how to handle a loss. 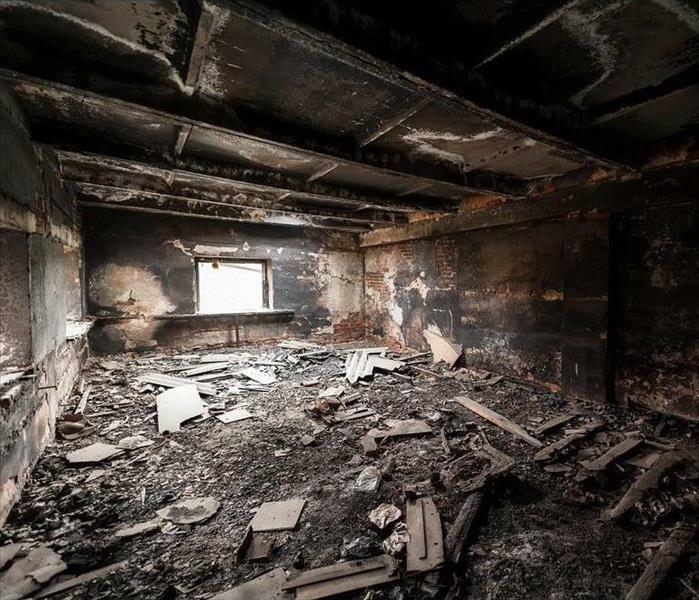 If your fire was a result of an electrical fire or utility room fire, it's nice to know that there are fire restoration experts specializing in commercial fire damage. These pros can handle the soot damage as well as the smoke damage present after the fire has been put out by the firefighters using their fire hoses and fire trucks. The problem with commercial fire damage is that it can spread very quickly and cause a number of other issues. If you have had an electrical fire or utility room fire, it's important to realize that there are tons of experts besides firefighters who can handle the loss. The fire restoration pros come to your place of business and deal with the soot damage and smoke damage left by the fire damage itself. They can also put in a fire sprinkler system and fire suppression system for your needs. The best way to call in the pros handling fire damage and commercial fire damage is to contact one local to your home. These pros can come out to your house and do a thorough cleanup of the smoke damage and any remaining soot damage that is present. Once you make the decision to work with them, they can also put in a fire sprinkler system and fire suppression system for you. The firefighters who had used their fire hoses and fire trucks to get rid of the fire will also help with this. Soot damage and any seen smoke damage are both very problematic for the average home or business. It is also important that you have a fire sprinkler system and fire suppression system put into place so that you can be sure you're going to prevent it from happening in the future. This prevents you having to call in the firefighters to use their fire trucks and fire hoses again. The electrical fire and utility room fire will also need to be remedied when you contact the pros. The professionals can put a fire sprinkler system and fire suppression system into place in order to make benefit of it. They can handle the electrical fire or utility room fire that you've been dealing with in the past. Once the fire trucks are gone and the fire hoses have left their damage, it's important to call in the experts to help out with this task. This is not something that you should be attempting to do on your own, as it can be incredibly difficult to handle the issue yourself without the proper skills and tools. Now that you know how important it is for you to get help, it's great to find out why there are so many options available to you. Now that you know how important it is for you to get the work done, it is important that you work on having the professionals help with this task. There are tons of experts out there who will be more than willing to assist in what you need to have done. This is something that you will find to be incredibly beneficial in more ways than just one, allowing you to reclaim your home and get it back to where it needs to be without needing to do all of the work yourself. This is why it is so important that you work with the experts to ensure that you're doing something ideal for yourself and for the overall effects of your home after you have dealt with some type of fire in the house or business. Mold in a local Downtown Providence home. There are quite a few people who may find mold or mildew in their home in Providence, RI, and they must take steps to ensure that they have done something about the terrible odor in the house. A Microbial growth or fungus in the house may cause quite a few problems for the homeowner, and this article explains how the house may be cleaned to ensure it is safe to enter every day. Steps that are taken by an environmental hygienist during mold cleanup will be quite varied, and each step must be completed properly to make the house safe again. Finding mildew or a fungus in the house is not all that fun for a homeowner, and they must feel as though they have cleaned out the home completely before moving back in. 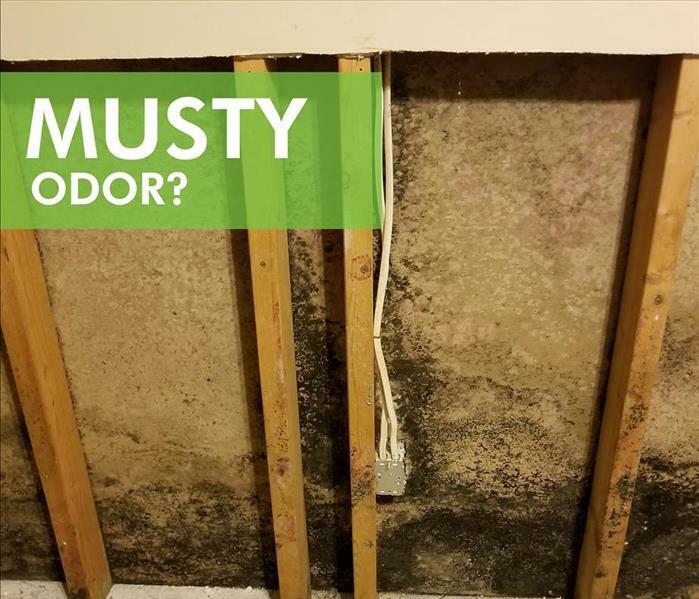 There is a musty smell that is created by a microbial growth in the house, and a fungus may hide away for some time before it it cleaned up. The growth may spread, and there is a chance the people in the house will be sick because they are breathing in dirty air all the time. An environmental hygienist in Rhode Island will ensure they have checked the home from top to bottom, and they will begin a cleaning process that scrubs out every bit of what was found. Growths that are found in the house are quite difficult to clean with standard materials, and they must be scrubbed using something that was made for that purpose. Mold cleanup is not complete until the home has been inspected by a professional, and they will not sign off on the home being clean until they know the house has no signs of any growths at all. They will complete an inspection to ensure everything has been done properly, and they will give certification to the homeowner when finished. #3: How Long Does The Process Last? Anyone who calls for services in Rhode Island must allow proper time for the work to be done. They will notice quite quickly that their home will be much cleaner after time has been allowed for their homes to be cleansed. The house will be cleansed in a manner that is easy for everyone to understand, and the smell that is found in the home will begin to fall away after a time. The company will begin to do air quality tests in the house, and they will pass on all results to their homeowners. The homeowners who has information on their homes are more likely to feel comfortable when they reenter the home, and they may use the information they were given when selling the home. Homeowners who have concerns about their homes must have someone come out for an air test that will help them ensure the building is safe to inhabit. They may have a yearly test done that will help them find the quality of the air, and they will notice how simple it is to complete a test once they have begun with the company. Someone will come out to the house prepared to help them, and they will show the homeowner how the air has compared with the last year. Results are checked often, and the comparison will show if there are more growths in the house. Every homeowner who has concerns about growths or other toxic materials must begin working with a mitigation company at once. They will speak to the company about how the growths may be cleaned, and they will learn what is required to keep the house clean. A free estimate will be created for the customer, and it will show them the work that needs to be done. The work will be done in a manner that is consistent with industry standards, and the homeowner will notice they have several options to keep the house clean regardless of how bad the problem is. 3/19/2019 - Why Settle for a Player When You Can Have a Team?